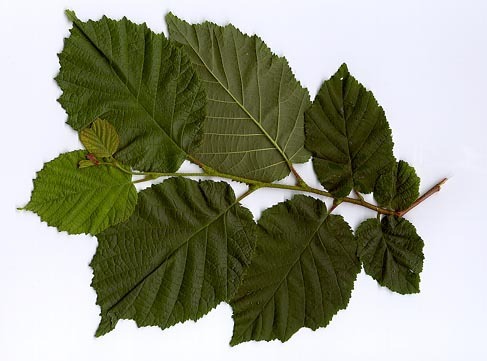 Corylus americana, commonly called American filbert or hazelnut, is a deciduous, rounded, multi-stemmed shrub which typically grows 8-16' tall and occurs in dry or moist thickets, woodlands and wood margins, valleys, uplands and prairies. The shrubs are monoecious (separate male and female flowers on the same plant). 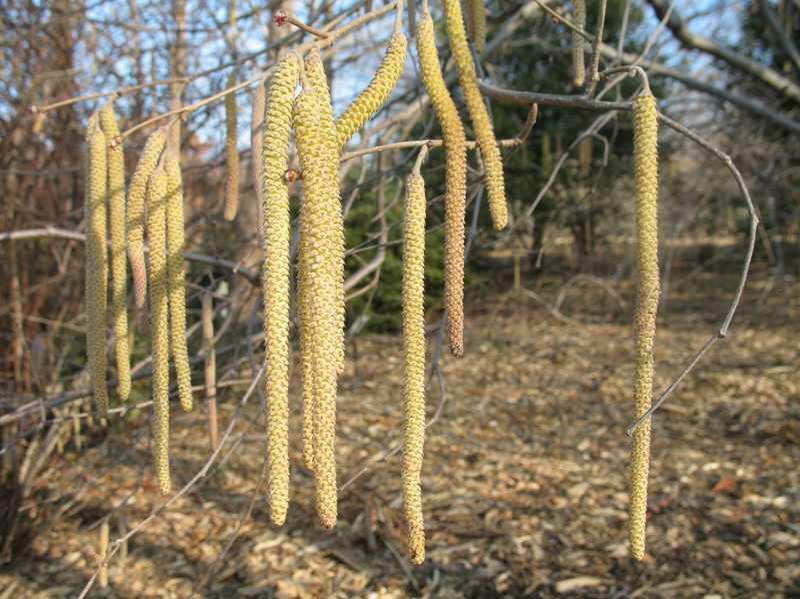 In spring, male flowers appear in showy, 2-3" long, yellowish brown catkins and female flowers appear in small, reddish, inconspicuous catkins. 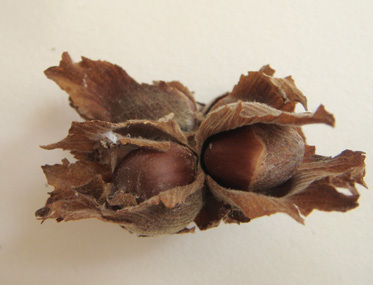 Female flowers give way to small, egg-shaped, 1/2" long, edible nuts (maturing July-August) which are encased in leafy, husk-like, ragged-edged, yet extremely ornate and elegant bracts. Nuts are similar in flavor to the European filbert, and may be roasted and eaten or ground into flour, but can left for deer, squirrels and birds. Ovate, double-toothed, dark green leaves (3-6" long). Fall color is quite variable, ranging from attractive combinations of orange, rose, purplish red, yellow and green to undistinguished, dull yellowish green.